For those following the Plus 4 Ecoboost saga. Picked up the new engine at Elemental Cars yesterday. Elemental very interesting outfit and beautifully-engineered (though expensive) cars. Great stuff, thank you Peter. When you say they are expensive........? 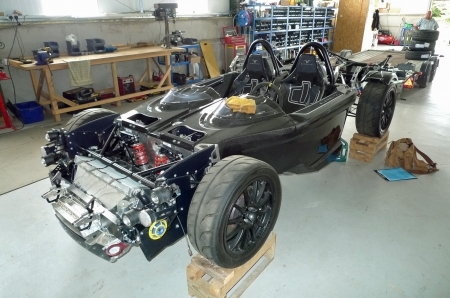 Step by step the Plus 4 Ecoboost project progresses. A luta continua. There will be more pix. Eventually (assuming it all works well) a well-known respected Morgan specialist may be offering the engine swap/ecu etc as a kit. Watch this space.